2018 April 25 4:00 pm Weds. 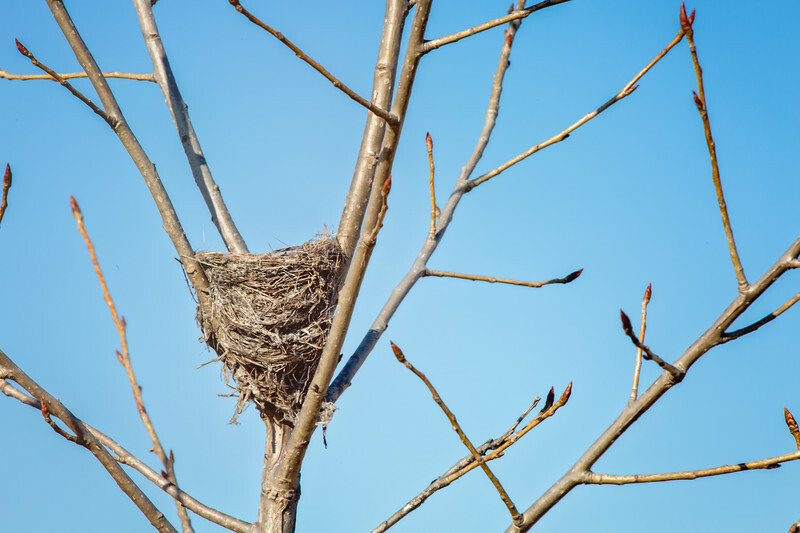 This is an old nest sitting in a tree fork. I've seen several of these around so exposed to the weather and predators. Curious to know what kind of bird nests in these.